Hyndburn Borough Council yesterday approved a new Selective Licensing designation. We are exceptionally disappointed with this proposal and consider many of our concerns to remain unanswered. 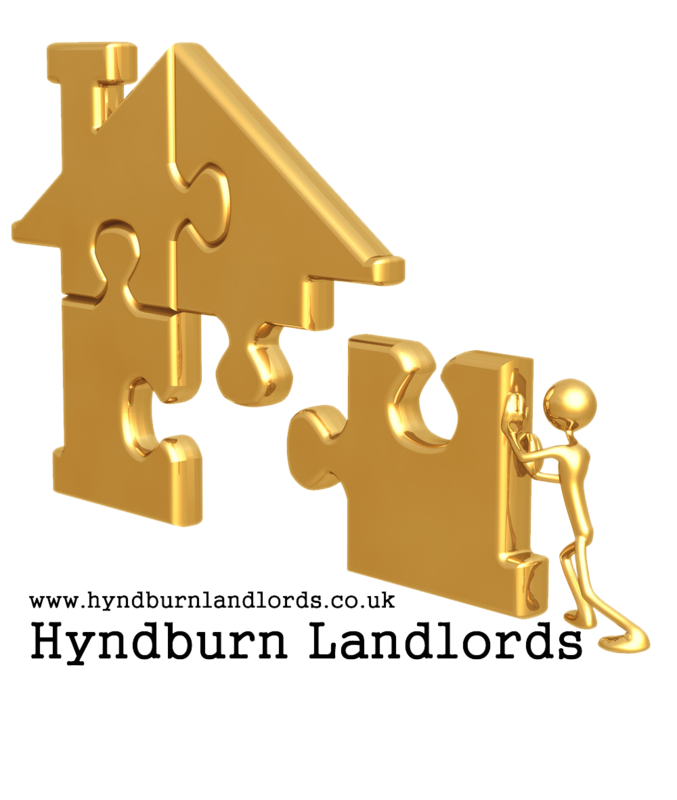 Any observation are welcomed either in this thread or by email (info@hyndburnlandlords.co.uk), we shall contact landlords/members directly with a view to arranging a members meeting in due course. In the meantime Hyndburn Landlords are currently taking legal advice and will update this site once we have clear legal guidance. This response is divided into three sections. Firstly, we have responded to the consultation document compiled by Hyndburn Borough Council, whilst in the second section we have provided evidence which we believe supports a different view as to what streets should be licensed within the Borough and which should be omitted. The third section is our conclusion as to what shape and form such a scheme should take. c) The numbers of residential premises which are available to buy or rent and the length of time for which they remain unoccupied. A larger rural ward with a predominance of post 1960s development. This suggests that the Council acknowledged that areas were different yet still continued to compare them. These should have been omitted for comparison purposes. However, Peel is almost unique in Hyndburn in that it is made up almost entirely of terraced housing. Whilst there are similar wards (or patches with wards) these nearly always contain other housing types and ages. The Councils statistics do not make any allowances or weightings for this make up and therefore are seriously flawed as there are no higher value house types (semis, detached etc) to raise the average or median values. Finally, we note that the Council have in their proposal considered licensing areas of Netherton, Rishton etc and rejected them for varying reasons. This illustrates a fundamental flaw in their interpretation of the Act. The Council have effectively set out to license all terraced housing (either intentionally or otherwise) by proving that more modern housing (detached, semis etc) have higher values than Victorian terracing. Nobody would contradict that view and most people would agree that Victorian terracing is generally at the lower end of any property value range. The Council have approached this exercise as though they are submitting a statistical case for housing renewal monies from central government when in fact, the Council should be taking samples of terrace housing from various parts of the Borough and comparing them directly with each other, not lumping wards and house types together to obtain averages and medians. We submit that the Council should be targeting areas where the housing market has failed or is showing signs of failure, By example looking at say Clement Stin Woodnook and comparing that with St Huberts Rdin Netherton would illustrate a significant price difference for the same type of house. The next question is therefore “Why?” This is consistent with the Act “The value of residential premises in the area, in comparison to the value of similar premises in other areas which the authority consider to be comparable” This would highlight the problem on Clement St directly without any statistical errors caused by other types of housing and values in the analysis. Notwithstanding the issues raised above, the analysis by the Council utilising Output Areas and Lower Super Output Areas is flawed. Whilst these may be recognisable for government reporting techniques, they do not necessarily follow what is “on the ground” and for this exercise are somewhat arbitrary. In this example, it is clear that by reading down in strips the lowest values are closest to the town centre. By analysis across, the average for each row is 1, 2, and 3 and in this case it would be clear that row one (in red) may be exhibiting problems and would require intervention. However, by analysis on columns, the average for all three is “2”. This masks the issues and suggests some areas are better than they are and vice versa. Analysis on a street by street basis and also utilising perception of areas by the general public and estate agents would give initial pointers as to where to look for problems. The Council have ignore this common sense starting point from the outset, choosing a strategy of trying to prove their own case, rather than seeking to find and address problem areas. It also results in an unnecessary dilution of the Councils own resources, targeting areas which may not require intervention. “The value of residential premises in the area”. The Council has clearly undertaken statistical research with regard to Capital Values, but has not undertaken any research with regard to rental values. The Act does not specifiy Capital Values only, but merely states “values”. As the issue being dealt with concerns “landlord licensing” it is reasonable to assume that this would include Rental Values as selective licensing concerns itself with the renting of properties. Given the current state of the property market throughout theUK and the growth of the rental sector, the Council has omitted a substantial part of valuation evidence from its research, and therefore the entire document submitted to Cabinet is seriously flawed at law. Whilst we accept that the Council has taken this point on board with recent discussions, it was omitted from the original consultation document and therefore neither Councillors nor other stakeholders will have had the opportunity to digest a significant amount of market evidence in reaching their own conclusions. Hyndburn Landlords believe that rental values are essential in considering areas to be designated, and therefore we have enclosed some research of our own within this submission which is considered later. At Figure 15 within the designation report, the Council attempts to supply data summarising the Time on Market for rental properties asserting data sourced from just one website provider “Vizzihomes” Hyndburn Landlords dispute the quality and depth of this dataset, as it should be noted that this site is a catchall web provider who collate data from web based portals. This data is firstly not taken at source but merely accepted second hand and more importantly is subject to corruption and interpretation. Hyndburn Landlords are aware of one local company who initially market correctly with the intention of finding a tenant. However once the property has been let this company then intentionally re-list the same property, subsequently re-advertising the property as let or sold to intentionally improve their own Right Move statistical results. Whilst there is nothing untoward with this as a marketing technique, Vizzihomes and HBC have no methodology to correctly deal with such manipulation. Additionally the Vizzihomes statistics give no insight as to practices that may influence the statistical facts, such as agents and landlords that list a property on notice in advance of it becoming vacant, or apathy in the removal of properties from web portals etc. We question why the Council utilised the data from such a site whilst blatantly ignoring the input of local agents in providing such data, as they are clearly best placed to provide first hand information regarding rental levels and void rates required for reaching conclusions. Within the report the Council make the case that properties within the Peel ward take on average 20 weeks to let which would suggest that demand is low. Hyndburn Landlords disagree entirely with this submission. Generally demand for housing in the Peel area is strong due to the proximity to the town centre, local parks and schools. Voids are relatively low and generally our experience is that properties are on the market for approximately one month. The property professionals within Hyndburn Landlords membership consider that any period of up to 3 months marketing would be considered within normal parameters. Our own research into marketing periods found that the majority of properties within the Peel ward are letting well within this three month period. This actual lettings data is highlighted in the void periods document and also highlights a serious discrepancy between our own findings and those of the Councils which were provided by remote data compilers. Hyndburn Landlords believe it essential that the Council provide a cost comparison or analysis of the fee structure under the prescribed CIPFA toolkit, thus establishing an “actual” cost of licence, if only to ensure this element of the process can be proved to be “clear and justifiable” (in addition to legal) within the scope of the legislation. By not undertaking the exercise of designating an actual cost to the allocation of each licence the Council risks criticism that they are intentionally setting out to overcharge time costs and thus the cost of issuing licences to landlords. Furthermore, we understand that only the costs of issuing a licence can be chargeable to landlords. Therefore, the licence fee cannot be used to provide training or keep staff in employment for a five year period. This brings into question the issue of financial resources being utilised in conjunction with Selective Licensing and, in the difficult economic times we are in, the Council will no doubt have to redirect resources from elsewhere. Whilst such housekeeping issues are the Councils own decisions, we are concerned that this has not been highlighted to Councillors or stakeholders who may be under the impression that licensing fees will be funding all projects with a designated area. This issue is also linked to the point regarding resources made below in the section entitled “External Findings”. We note from the current version of the designation document that no provision or timescale has been proposed or considered in respect of reviewing the introduction, application, effectiveness and potential damage caused by the introduction of a scheme that has potential to be one of the largest in the country. It is appreciated that other factors would be part of an overall assessment of low demand, Nevertheless, low rents and low capital values are the strongest indicators of a dysfunctional market. Proportion of rented households. An area which is popular with tenants and landlords could not be considered low demand. This is typical of the Peel area, where values are typical of the area and rents are higher than the LHA rates. The Council have seemingly equated a high percentage of rental properties in an area with low demand which is incorrect. This is a correct assumption in the case of Springhill / Woodnook, where general demand is also weak. Home ownership is lower in poorer areas and this is due to a number of factors which may include the lack of mortgage finance availability due to the collapse of the “sub-prime” market. Equally, it could be argued that prices in Peel have been maintained due to landlords and owner occupiers wanting to purchase in that area. The increase in rented properties in this case is more likely to indicate the stronger purchasing power of investors and the ability to improve properties, over would be owner occupiers / first time buyers. This indicator is a “may” requirement by government in seeking SL and therefore carries less weight. Turnover is a double edged sword and possibly the least reliable indicator. For example, a high number of sales could indicate either a local authority bulk buying properties to be demolished under a compulsory purchase / purchase by agreement (for example, as in the Woodnook area) or at the other extreme, the completion of a new housing estate, such as occurred at Sefton Farm. Both have high sales, both illustrate extremities of the market. Hyndburn Landlords are unsure what conclusions could be drawn from turnover. We accept that it is a “must” requirement laid down by government in considering SL although we are not sure as to what end. This information should have been available at Consultation stage to help inform respondents. Selective licensing is designed to raise standards in the private rented sector and drive out unscrupulous or inept landlords in particular areas where private renting is problematic for the wider community. It is a powerful tool to improve the management standards of private landlords. It will help improve living standards, reputation and physical condition of the designated areas, the private rented sector in general and the reputation of decent and competent landlords. The Council does not provide any evidence to either illustrate or prove that such a scheme will improve the reputation or physical condition of the designated areas, nor does it improve the reputation of decent and competent landlords. The experience of property professionals within Hyndburn Landlords is that areas remain the same, so at best SL could be argued that further decline is arrested. There is certainly no evidence to show that landlord reputations have been improved, as “decent and competent landlords” already have reasonable reputations of which the renting community are largely aware of. The Council believes that selective licensing will extend housing choice and increase the confidence of occupiers within the designation area. Landlords will be required to take ownership of their management responsibilities thus increasing the prospects of long-term trouble free renting. This in turn will make the sector a more valuable asset to the Borough and decrease levels of low demand housing. We accept that this is the Councils “belief” but again it is unsupported. How is housing choice extended? There is no evidence to suggest prices would rise within a designated area (which would indicated demand to purchase by new prospective landlords) Neither is there any evidence to suggest that rents rise above average once an area becomes licensed. The view that the prospects of trouble free renting is increased extremely naïve, unsupported by empirical data, and is not shared by Hyndburn Landlords. As a viewpoint, only a register of good tenants would lead to trouble free renting. Example of poor landlord activity – within the Borough there is one private landlord with a significant stock holding of 144 residential dwellings of which 99 are tenanted, but 45 are vacant of which 39 have been vacant for over 6 months. This one example illustrates how private landlords can directly contribute to low demand. Of the 5 bullet points mentioned, points 1,4 & 5 have been dealt with previously. However, the Council has not considered points 2 & 3 and have simply mentioned these at the end of this justification, again without any empirical evidence. In fact point 2 is incorrect, as higher returns would attract the more unscrupulous landlords which the Council is looking to drive out of the sector. The highest yields are to be found in the poorest problem areas such as Woodnook and Springhill. If these areas were to be improved then yields |(returns) would fall. This point is directly contradicted by the Councils own document in the tenure section of the low demand indicators. Point 3 is also extremely dubious as licensed areas are viewed with suspicion by both lenders and valuers who recognise the draconian restrictions SL places on landlords and the perceived acknowledgement that a particular area is in fact “sub prime” for mortgage purposes. In fact point 3 is only likely to be correct if a licensed area was a resounding success that cleared the problems and raised capital values in an area. Fee Structure There is an interesting comment about discounts for landlords who are accredited, or those that were pro active in seeking a licence early. These are likely to be the good landlords who take their responsibilities seriously, yet the Council is proposing to treat all landlords the same, with the exception of the direct debit discount. However, this discount is solely to aid the Councils own administration process and does nothing to engage with good landlords, creating resentment. A number of the other issues raised centred on suspicion and motives of the Local Authority, which Hyndburn Landlords feel have been justified in the past given the recent Court Action. Notwithstanding the inaccuracies detailed in the section above, we believe that the current Council proposal is still far too large to be effective. Despite the above concerns, Hyndburn Landlords are supportive of the principle of selective licensing when applied correctly, although we are concerned that there seems to be a political view that it is a cure for problems within the sector which we fundamentally disagree with. With regard to capital values, the Council has previously indicated in its submissions that values below £45,000 would indicate low demand although we acknowledge that the Council now contest this view. We believe however that it would not be too contentious to agree a threshold figure below which an area with significant numbers of properties selling below a set figure would at least warrant investigation into potential market failure. Whilst this figure would have to qualified by age, type and date, generally a figure of below £50,000 would not be too contentious for a 2 bedroomed terraced property, although given the current economic conditions this must be subject to downward revision due to the failure of theUKeconomy generally. Other areas within the proposal are felt to be somewhat marginal for inclusion, such as the Blackburn Road & Church areas which, although demand is weaker than in other areas of the Borough, do not exhibit the same traits as the two areas mentioned above. At the same time we acknowledge that there has been substantial public sector investment into the Blackburn Road corridor and that it would be prudent to introduce some type of legislative control in order to protect the substantial capital expenditure which has been incurred in that area. Hyndburn Landlords have serious issues with the proposal for the Peel area. It is our belief that the majority of streets within the Peel /Bold Starea are in fact areas of high demand, and not low demand as proposed by the Council. There are some pockets of low demand within this area, but this is not justification to stigmatise the whole area. This small pocket of low demand could in fact be broadly defined as properties on the town centre side ofWashington St, with the exception of Avenue Parade. In illustrating how the Council has made a serious misjudgement by categorising these areas of high demand as low demand we have utilised information from Zoopla, Right Move, and the Land Registry. Both Zoopla and Right Move are established web sites where the majority of properties are advertised for rent by professional letting agents. In addition, Zoopla provides its own estimate as to what typical values in a certain area may be. We have added Zoopla values to illustrate the views of a third party when compared to our own views. We neither advocate or disagree with their methods of reaching a conclusion on values. The majority of properties in this Peel are 2 bed terraces, with 3 bed versions generally being located at the end of each block and occasionally in the middle of a terrace. There are no sales below £62,000. Most recent data indicates values as a minimum of £65,000 with the larger 3 bed properties attracting values around £100,000. There are no sales below £68,500. Most recent data indicates values as around £70,000. Somewhat mixed sales data and relatively difficult to derive meaningful conclusions. Number 3 is a small dwelling with a shared rear courtyard with properties onWater St, which partly explains the lower values. We believe that the above evidence supports our perception (as Property Professionals working in the industry with RICS and MNAEA qualifications) that these streets are not low demand. Therefore we have expanded the research into other areas containing similar properties. Generally recent sales indicate values between £70,000 and £90,000, although it is noticeable that values generally increase with distance from the town centre. Generally recent sales indicate values between £60,000 and £70,000. Slightly inconclusive although generally recent sales indicate values between £60,000 and £75,000. Every area has poorer streets andMalt streetillustrates the lower demand end for the hospital area:Recent sales evidence is very low, but at the peak of the market sales were only around the £50,000 – £60,000 range. This is one of the better streets in the area and recent sales illustrate the resilience of capital values, in the main being largely unchanged from the peak of 2006 being largely over £75,000. This would compare well withSpencer St,Hodder St, Avenue Parade. Possibly the best street in the hospital area and values are still holding up in the £90,000s. This would compare well withSpencer St,Hodder St, Avenue Parade. Values peaked at the height of the market in 2006 at around £80,000. The most recent sale suggests £70,000 may be appropriate. As mentioned above, we believe that the Council has designated some proposed areas correctly, notably those in Woodnook and Springhill. Generally, the perception of these proposed areas is that they are in need of intervention and licensing is required. This is not in dispute and is supported by Hyndburn Landlords. Therefore the point of this exercise is to illustrate the generally lower values prevalent. These values are generally between £10,000 – £20,000 per property lower than the illustrations in Peel. Although there are more streets within the designated area than those listed below, the number of recent sales in this area is relatively low. Slightly inconsistent with 2 sales around £65,000 and 2 sales sub £50,000. Insufficient evidence to narrow this further, although clearly the higher end of the market is around £65,000. Not only does Peel compare extremely well with the above areas, there are also streets / areas within the borough with lower demand and capital values which have been omitted, which suggests that the Council have specifically targeted Peel rather than approach the whole proposal with an open mind. By example, consideration of the Scaitcliffe area is illustrated below, with the summary Zoopla values here. Variable prices although this street does contain a larger than average number of 3 bed properties and has also had grant renovation work undertaken. Clearly this area is better than Springhill or Woodnook, but worse than Peel, yet has not been considered for licensing. The streets nearest to Woodnook are extremely poor but values improve heading towards Ormerod St. From valuation work undertaken by professional members of Hyndburn Landlords in this area, the physical condition of a substantial number of properties is relatively poor. Hyndburns local housing allowance (LHA) rates for December 2011 and January 2012 were £90 pw (2 bed) and £103.85 (3 bed). This equates to £390 pcm and £450 pcm respectively. Reasonable asking rents are largely achieved with little or no evidence of discounting. In the Peel area the majority of 2 bed houses on the market are commanding rents in excess of £400 pcm, the sole exception to this being Oswald St, which is probably one of the poorer streets in this area and even this is in excess of the LHA. This is evidenced by the pdf documents titled A, B, and C.
Conversely, it can be seen that rental levels in the undisputed areas for proposed for Selective Licensing for example Woodnook, rental levels are below the LHA generally, as evidenced in the pdf documents titled D & E. We have also detailed rental evidence for Springhill within this submission where it can be seen that, with the exception of the modern infill dwellings, the older terraced housing is at or below the Local Housing Allowance level indicating weaker rental demand with typical rents around £375 / month. Finally, we have provided a document containing details of actual rents achieved by Eafield & Maple Estate Agents entitled Eafield & Maple Average Yields & Rents. In a small number of streets no evidence is available and estimates have been highlighted in red. It is very clear from these actual rents that values are clearly lower in the Woodnook and Springhill wards with just small pockets within Peel suffering from low demand. It should be noted that in some instances the type and size has a fundamental effect upon the rental value of such properties which can limit the data for comparison purposes. By way of example, houses onArnold Street, which ranks second lowest in rental value, are smaller and incomparable to the majority of other, more traditional, terraced properties. It is somewhat surprising that the Council has not given any consideration to yields in the consultation document. This may be due to the lack of Property Market experience within the Council, or simply not understanding how the market works with regard to investors (landlords). Generally the return on a property is calculated with regard to the “all risks yield” which (at its simplest form) is the rental value divided by the capital value. The higher the yield, the more risky an investment is perceived to be. The figure takes consideration of voids, rental and capital growth prospects. As a guide, the higher the yield the poorer an area is likely to be. With residential property, as the Assured Shorthold Tenancy is relatively transient, analysis is best undertaken on prevailing values. The yield calculation table illustrates the returns within designated and non-designated areas. We have adopted the values given by Zoopla to try to bring independence into the figures and to avoid accusations of bias and self interest. As expected, the majority of properties with high returns are within the Springhill and Woodnook areas, with Peel ward being either in the middle or towards the lower end of yields, indicating higher demand. A similar yield calculation is also contained within the Eafield & Maple Average Yields & Rents document. In addition to the evidence above, I also attach two extracts from Right Move Plus – a list for 2 beds and a list for 3 beds. Right Move is almost indisputably the premier and foremost website for advertising both properties for let and sale. The “plus” version gives a mixture of “sales” and “for sales” This extract includes the streets within the Peel designated area and are ranked in price order. It can be seen that the properties with low values for this area are generally within the town centre side ofWashington St, again illustrating the Councils errors. situated in a popular area close to Peel Park, the Coppice and Motorway Links. lying in a popular residential location on the outskirts of Accrington town centre. Whilst these are not binding facts and are purely opinion, the marketing agents are bound by the Property Misdescriptions Act and therefore they would be leaving themselves to be open to prosecution if they stated untruths or were knowingly misleading people. This again goes underlines the Councils incorrect idea of low demand. Furthermore, it would seem that the Councils view to include a substantial portion of Peel is not shared by the majoirty of the Stakeholders which they handpicked for consultation. The views / proposals of these stakeholders are contained within the proposed licence areas folder and with the exception of the views of Maundy Grange, do not include any streets higher thanWashington St. It is accepted that all the above are opinions not backed by any empirical data, but nevertheless, the legal test of reasonableness would be satisfied ie “is this a situation which the man on the Clapham Omnibus would be aware of” (Greer LJ in the case of Hall v. Brooklands Auto-Racing Club 1933). “Opinions” are also likely to the overwhelming responses of the public / stakeholders in the consultation period and if such evidence is to be largely ignored, it does question the point of any consultation exercise. Furthermore, we believe a large number of streets within the area do not satisfy the test of low demand. In addition, we further believe that the Council failed to properly present the issues in the Cabinet paper presented on 11 January 2012. However, we are mindful of past experience and litigation. We would request that the Council consider in all earnest the points made in this submission and continue to consult and engage in dialogue where differences occur in an attempt to reach a consensus with all stakeholders. We acknowledge that some areas of the Borough are in need of intervention and / or direct action, and would actively support the Council if a sensibly sized, targeted scheme can be produced. Therefore, in an attempt to move forward, we believe the following streets are not areas of low demand and should be removed from the proposed designation. Capital and Rental Values are typical within the Borough and stand comparison with the majority of areas which are outside the designation. Vacant properties available to let in this area are readily occupied by tenants. Voids are generally under 3 months and the assumption that rented properties are on the market for a long time in this area is incorrect. The majority of Peel is not an area which requires intervention as illustrated by the Councils own appointed stakeholder group. A brief summary following May’s Judicial Review. On 13th June 2011 Hyndburn Landlords (HLA) wrote to HBC expressing disappointment at the need for judicial review and requesting a meeting with the leader to discuss future steps. The deputy leader, Claire Pritchard responded and ageed a meeting with the head of housing and regeneration (Mark Hoyle), herself and HLA; this meeting took place on the 27th July 2011. HLA were assured that the council were intending to reflect fully on the outcome of the JR, that they were looking to retreat to consider all alternatives and that they had no intention of returning straight to a selective licensing scheme. Subsequently HBC issued questionnaires to stakeholders, 72 stakeholders in total. They allowed less than three weeks for responses and concluded the exercise with just 29 responses. Additional claims to have contacted 320 citizen panel members were also made, although no results have been made available, nor details of what was emailed in the first instance. Around this time HBC also wrote to various stakeholders, HLA, Police, Fire Service, Charities, Residents Associations, Social Landlords etc, and invited them to be part of a council created Liason Group. This was sanctioned by the above cabinet resolution, the purpose being to advice upon ways in which the council could better work with the private sector. This liaison group established by the council had its first meeting on the 18th October, two council officers in attendance, plus Claire Pritchard (deputy leader) and ten others including HLA. The initial stakeholder meeting proved to be constructive with many positive suggestions from a range of stakeholders such as accreditation for landlord and tenant, various targeted and co-operative landlord and tenant education campaigns, voluntary fire inspections on all tenancies, passport to housing qualifications, single point contacts, access to a choice based letting scheme, rent deposit scheme and alike. On the 31st October, the stakeholder group met again, on arrival this same presentation was made by Helen Graham to its members and the forum was diverted from open discussion to a focus upon selective licensing. Within the group members were asked to highlight areas they felt may benefit from selective licensing. The forum members independent of council staff and councillors all completed a map highlighting these areas. Independently, a very clear and majority consensus was reached highlighting Woodnook, Springhill and small pockets in two or three other locations. Compelling argument was submitted by Hyndburn Landlords to introduce a phased and targeted scheme rolling it out in these areas initially with further areas introduced once successfully implemented. These proposals were accepted and concurred in the majority by the group and HBC employees offered no objections. On the 9th November, the forum convened its final meeting, only to be briefed by Helen Graham on a proposal for selective licensing which had apparently been concluded. As part of the proposal Helen Graham displayed a designation map which bore no reference to what had been suggested by the forum. Helen Graham advised the forum that HBC can listen but does not have to agree. HLA are of the firm belief that HBC entered into this consultation with false intentions and a pre-ordained agenda, as set out by them in numerous public statements. The exercise of involving stakeholders to simply tick boxes for the sake of satisfying legislation goes entirely against the original brief of improving the way in which HBC works with private landlords. Early in November HLA became aware of HBCs intention to submit these disputed findings to cabinet for an approval, to allow the council to then commence the process of a twelve week consultation. HLA wrote to all councillors and the chief executive of HBC making them aware of the discrepancies and misrepresentations in the submission to cabinet. On the 22nd November the council removed the item from its agenda for the 23rd November 2011. “in light of your concerns, and because the council wishes to maintain dialogue and partnership working, I agreed with the portfolio holder for Regeneration and Housing that our proposals for selective licensing were removed from the cabinet agenda on the 23rd November 2011 to enable further consideration and dialogue to take place. At this time a formal complaint was submitted to the council raising numerous concerns and this was acknowledged in several letters from HBC in December. No comment we said, because no one had told us that it was back before the cabinet. Furthermore neither the deputy leader nor the head of regeneration had contacted us and honoured their assurances of a meeting and further dialogue! Very hastily on the 9th January HLA again contacted all councillors and the executive raising serious concerns about the lies, misrepresentations, the failure to honour assurances as above, the absence of a response to our formal complaint in December and our frank disappointment. One councillor responded. On the 9th January HBC asked HLA to point out the errors, lies and misrepresentations within the proposal – we responded advising one day to do this was frankly insufficient. At 22.29 on the 10th January HLA received an email response to the formal complaint issued in December and on the Morning of the 11th (day of the cabinet meeting) a response from the Deputy Leader in respect of the mail sent to councillors and the executive, again asking US to highlight their errors in the proposal and dismissing the representations made by HLA. Cabinet continued on the 11th January and approved the consultation. Welcome back to our new site. Welcome back to our new website. We have changed our site to a blog, anyone can register and comment on any blog although this site is established by landlords to advise landlords, we shall be developing the site to offer various benefits over time. Hyndburn Landlords Association (HLA) was established as a result of a dispute over selective licensing in 2011. The dispute broadly came as a result of a failure by Hyndburn Borough Council (HBC) to consult with landlords over plans to introduce a sizable selective licensing (SL) scheme. The lies and misrepresentations made by HBC when seeking the approval from local government and a general contempt shown for the private rented sector. HLA entered into significant negotiations which ultimately failed and the dispute went before the High Court on the 23rd May 2011.
dave on Welcome back to our new site. Paul Brown on Welcome back to our new site. 1990von on Welcome back to our new site.